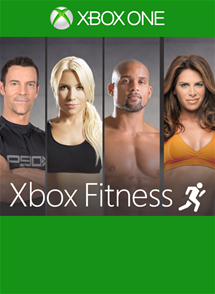 How did I miss all these awesome workouts on Xbox Fitness? I stumbled upon the Xbox Fitness website today and noticed all the amazing workouts that are available on the Xbox One with Xbox Fitness. I love Jillian Michaels and Tracy Anderson, I have some of their DVDs and I always wanted to try Tony Horton’s P90X and Shaun T’s INSANITY. But there is so much more! Tai Chi, Zumba, Beachbody. 10-minute solution workouts. MOSSA workouts. Plenty of options to choose from so I don’t get bored. Choose from a variety of workout lengths and styles, including cardio, sports training, Tai Chi and Zumba. Optimize every workout with immediate feedback on your form, power and heart rate on Xbox One with Kinect, featuring Muscle Mapping, Energy Meter, and Pulse. * Plus, feed your motivation with social challenges.